With its spring-green leaves and dark red veins, bloody sorrel must be one of the most decorative greens you can grow. It has its roots in the woods and damp meadows of Europe and Asia and it is grown in many gardens around the world. Some people consider it an ornamental perennial; others approach it with a salad bowl, scissors, and a lean and hungry look. Or should we say blood-thirsty? 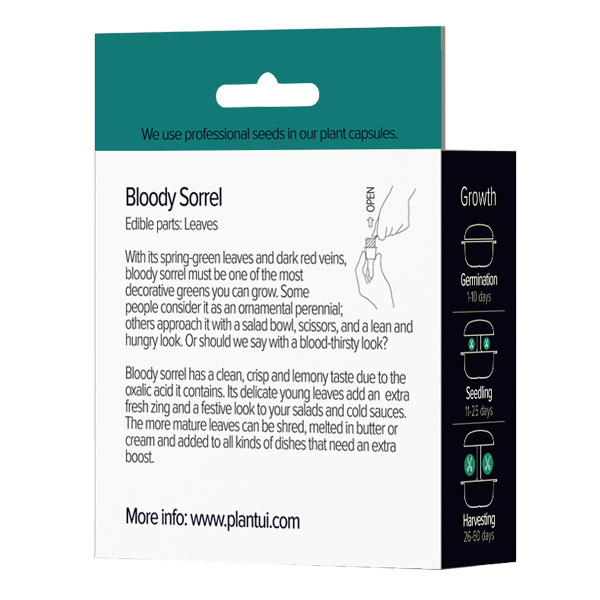 Bloody sorrel has, like all its relatives, a clean, crisp and lemony taste. Maybe that’s why our ancestors have been using sorrel extract as a stain remover and sorrel infusions as early versions of skin tonic. 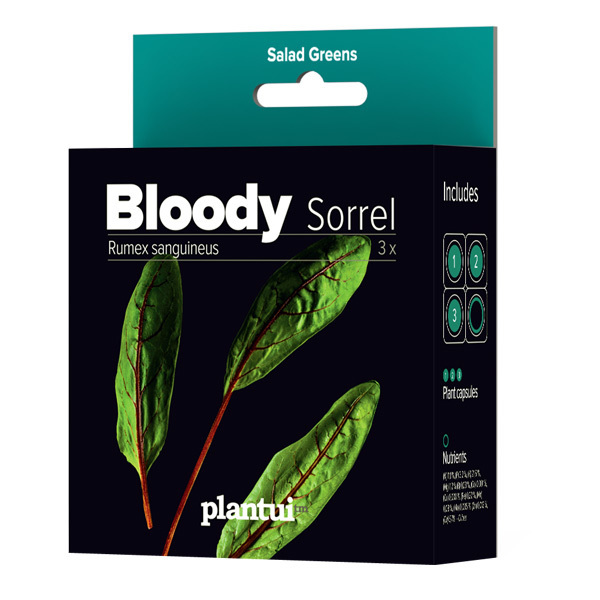 The zingy flavour reveals that bloody sorrel contains oxalic acid, the same substance found in rhubarbs for example. So if you are prone to kidney stones or gout, you’d better steer clear of this cultivar. 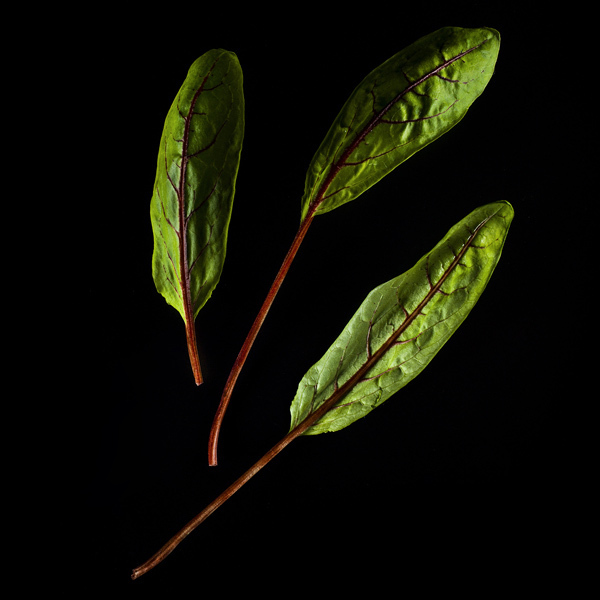 The delicate young leaves of the bloody sorrel give a fresh zing and a festive look to your salads and cold sauces. The more mature leaves tend to be a bit too vinegary. But no worries: just shred them, melt in butter and add them accompanied by dash of cream, to all kinds of dishes that need an extra boost. Or why not make sorrel soup, one of the classic French dishes.